For people who like to have more control over how dial rules are implemented but want to leverage my vast database of worldwide dial rules, I have implemented a JSON interface for the Skype Optimizer. The interface will return all the dial rules for a given country in JSON format, which can then be used in your own scripts or application. You must also include a valid API key. 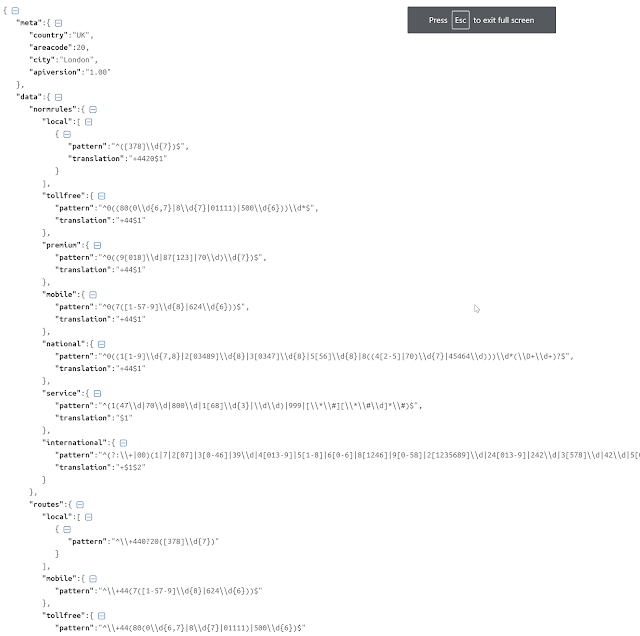 For testing purposes, I've created a demo API key that anybody can use. The output will be obfuscated to deter abuse, but is otherwise valid JSON. Please give it a try, and if you feel there is a place for this in your company or application, please contact me through the usual channels. I have to give thanks to longtime SfB/Teams MVP Jonathan McKinney for pushing me to do this, and to help test it along the way. Beers are inbound!